How Far is Subishi Waterford Luxury Homes? 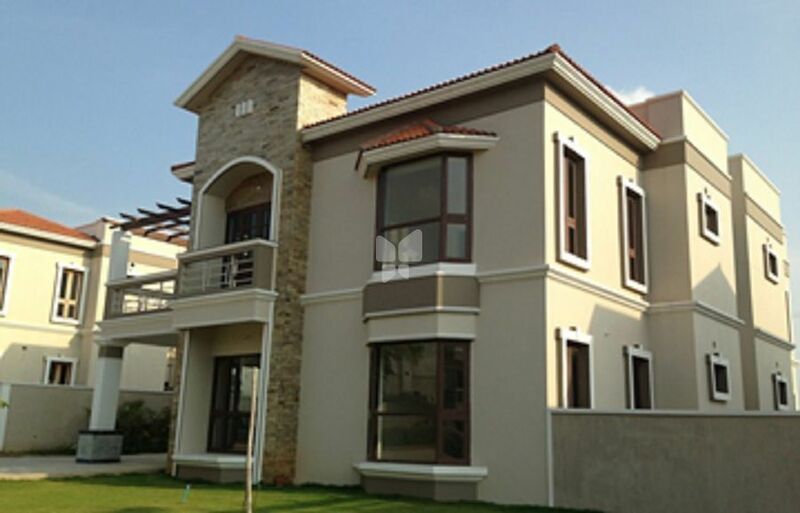 Premium quality villas built at Mokila village, near Gachibowli, Hyderabad, India. Secured gated community having 70 large independent villas spread over 19 acres of land in excellent neighborhood having finest amenities matching international standards and located in calm residential area. This is a secured gated community with finest amenities matching international standards and located in calm residential area. 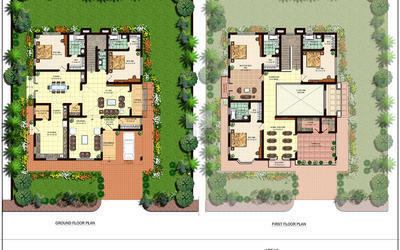 Villas having more than 4,800 Sq Ft built up area on plot size of 800 Sq Yds or above. Internal: Double coat of cement for smooth finish. External: Double coat in sand faced cement. Main Door : B.T. Wood frame & Shutter aesthetically designed with melamine polishing and designer hard ware. Internal Doors : B.T. Wood frame with Polished Masonite flush Shutters. Windows : Frames & shutters in B.T. Wood with glass panels & Provision for mosquito mesh. Grills : Enamel painted designed and fixed at extra cost. External: Texture based paint / emulsion paints of Asian / ICI make. Internal : Two coats of Acrylic emulsion paints over a coat of primer. Ceiling : Two coats of Acrylic emulsion paints over a coat of primer. Servant Quarters & Service Areas : Two coats of acrylic OBD over one coat of primer if applicable. Vitrified porcelain tiles branded or equivalent make in bedrooms,living, drawing, dining & staircase (Rs 90 per sft includes laying cost). Bathrooms : Anti skid finish vitrified tiles (Rs 50 per sft includes laying cost). Covered Balconies : Clay or ceramic tiles (Rs 50 per sft includes laying cost). Parking Area : Cement based tiles over PCC bed. Utility : Anti skid ceramic tiles(Rs 50 per sft includes laying cost). Provision for cabinets, exhaust fan and chimney. Utility/Wash : Anti skid ceramic tiles (Rs 50 per sft includes laying cost). Designer Vitrified Tile dado of Johnson / Bell or equivalent make up to 7’ height (Rs 50 per sft includes laying cost). All C.P. Fittings of chrome plated of Hindustan / Parry or equivalent make. Solar heater with built in electrical backup heater at extra cost. Telecom : Cable points in all bedrooms, kitchen, Master toilet, living & dining areas. Cable TV : Cable connection in all bed rooms & Living rooms. Generator : 100% acoustic enclosed D.G. Backup shall be provided. Water Supply : ISI Mark of GI / Kimplast / CPVC Piping. Drainage : ISI Mark of PVC SWR Sanitary Piping. Subishi Infra is one of the best developers in Hyderabad real estate industry. A quality focused company which is providing amazing living spaces in the Hyderabad City. Subishi Infra has an adaptable business culture which acknowledges immediately to the changing needs of the customer and all ways focus on providing customer friendly homes to the customers. Subishi Infra Pvt Ltd involved in providing residential apartments, villa communities and best home buying solutions to customers. Homes construed by Subishi Infra homes consist of latest amenities with best floor plans, homes which cater the needs of the discerning home buyers who are looking out for quality constriction with the best design and construed with high-quality materials. Subishi Iris Luxury Homes is an example of the amazing work done by Subishi Infra Pvt Ltd. 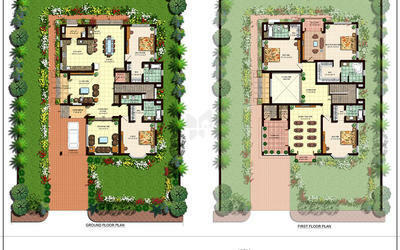 The project is located in Hyderabad at Mokila locality, consists of 3BHK villas with best amenities. Subishi Infra consists of an experienced team of engineers and architects who provides homes with innovation, futuristic design, creativity which are the best class and based on values and tradition. Some of the construction of Subishi Infra Pvt Ltd are Subishi Mist Luxury Homes, Subishi Mist Signature Homes are located in Mokila and Subishi Gowthami Luxury Residential Flats is located in Kompally and the list goes on.